Aroma Spa Diffuser that creates delicate fragrant mist! 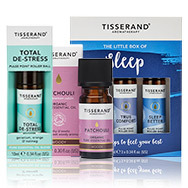 Find your favourite Tisserand Aromatherapy products in beautifully packaged gift sets and value packs. Fill your home with ambient, natural fragrances to relax, uplift or calm your body and mind. Aromatherapy is a natural holistic therapy that harnesses the fragrance and beneficial properties of pure essential oils, extracted from the leaves, seeds, peel, bark or roots of a plant. Aromatherapy is the application of these oils in massage, inhalation or in cosmetic preparations to benefit health and wellbeing. A calming blend of geranium, orange and nutmeg help to relax body and mind and soothe the senses. This tranquil range helps to restore a sense of harmony, calm and well-being. Contains hand blended oils used by professional therapists. 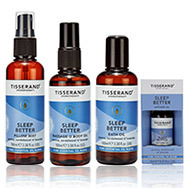 A relaxing blend of pure essential oils to help unwind and soothe body and mind for a peaceful night's sleep. With a soothing blend of lavender, sandalwood and jasmine, this spray body oil deeply nourishes skin to leave it feeling silky-soft and smooth. An invigorating blend of lime, grapefruit and orange leaf help to recharge the mind and body. Perfect for use in the morning to deliver get-up-and-go or later in the day when stamina is lagging. Revive tired and aching muscles and joints after workouts, sports or general over-exertion. This invigorating blend of ginger oil, lemongrass oil and rosemary oil can be used prior to activity or simply to melt away every day tension and fatigue. Essential oils are at the heart of everything we do. 100% natural essential oils are used. 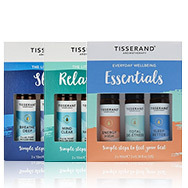 Tisserand Aromatherapy’s Bath & Body Collection is range of natural bath and body products fragranced with 100% pure essential oils and no artificial colours, parabens, SLES, SLS, ALS or Cocamide DEA. Rich in soothing botanical extracts and skin-pampering oils, each product nourishes the skin and leaves a softly uplifting aroma. 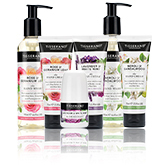 All products are guaranteed 99% natural origin to be kind to your skin. This balancing duo of Tea Tree 100% natural pure essential oil with the calming essence of Aloe Vera botanical extracts offers soothing & comforting properties that are the perfect natural skin solution. This all over deep cleansing blend will be sure to care for the whole family – be it blemished skin, to keep little hands and feet clean or simply for a purifying skincare routine for stressed skin. Products: All Over Skin Wash, Foaming Facial Wash, Skin Clearing Soap, Skin Rescue Stick, Natural 24 Hours Deodorant & Skin Relief Cream. 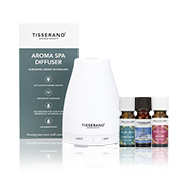 View all Tisserand Aromatherapy products in one place. Not sure what you are looking for? Simply select your category, product type or your skin requirement. 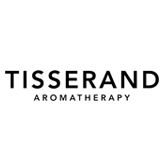 Founded in 1974 Tisserand has been supplying both professionals and enthusiasts alike with the best aromatic oils. 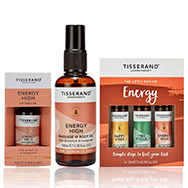 This brand started with Robert Tisserand’s mother introducing him to aromatherapy, when Robert was 15 he started to practice spiritual healing. However, a couple of years later at 17, he had his lightbulb moment to try and get an essential oil product into every household to help try and improve people’s health and welfare. Despite being told otherwise, Robert started to hand-bottle and distribute the products himself to locals, in his nearest Post Office. In 1984 was when the company was officially born. Certified organic, meaning they are taken from plants, which have been grown without any additional man-made fertilisers, herbicides or pesticides. Wild Crafted essential oils are sourced from plants which are gathered from their natural habitat, these aren’t organic, yet they do not have any added synthetic chemicals, this means they will be growing in a condition which is best for the plant. Ethically Havested essential oil is taken from a herb, shrub or tree, and isn’t harvested in a way which means that species becomes exhausted. 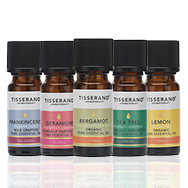 Tisserand Aromatherapy products don’t use any synthetic fragrances, they use essential oils and absolutes instead, meaning it’s all natural. They also make sure not to use SLS/SLES, however, they replace these with natural coconut oil to deliver the foaming aspect to products. They never include parabens in their products, or animal ingredients. They promise to go organic wherever they possibly can. 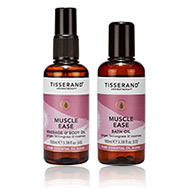 Tisserand Rose & Germanium Leaf Body Wash – this luxurious body wash enriched in French Rose botanical complex and geranium leaf, will leave your skin feeling hydrated and nourished. Antioxidants help to stimulate the skins collagen levels. 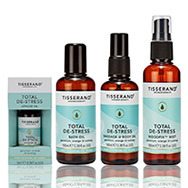 Tisserand De-Stress Luxury Bath Oil – containing hand blended oils (used by professionals) allows you to unwind from everyday stress, to help restore harmony, calm and wellbeing.